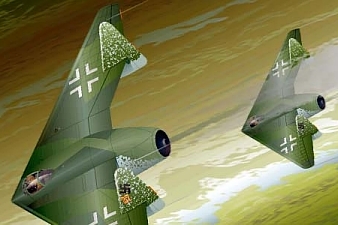 In 1943, Arado began a work on the series of the Ar E.555 flying wing Amerika-bomber project. This flying wing configuration was thought to be the best design to fulfill a requirement of high speed, heavy loading and long-range aviation. 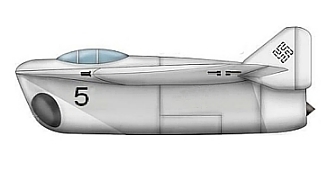 Due to the design acceptance by the Reichsluftfahrt Ministerium (State Ministry for Aviation) in early 1944, the Arado design team scaled down the same configuration to design a smaller size fighter version, the Ar E.581-4. It was a single-seat fighter that powered by the single HeS011 turbojet engine. 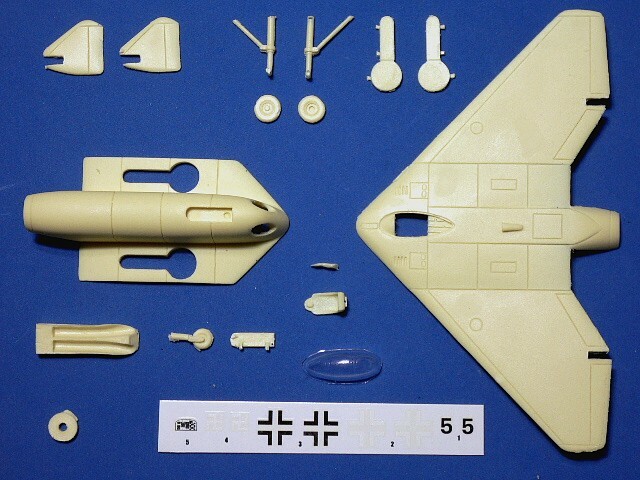 The delta wing with the twin fins was designed as the Ar E.555 bomber. In fall of 1944, Reich was deteriorated in war situation. For concentrating the facility resources on the existing fighters production, Arado was ordered to stop all the new projects process that included the Ar E.581-4 fighter. 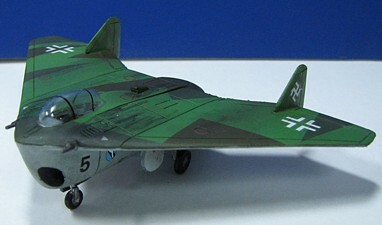 The Arado Ar.E.581-4 is suitable to group with the following collection series.